Love Nick Miller! And Doctor Who! And so many other things! Love it! I just discovered Dr. Who (or decided to try it out) a few months ago. Your embroidery is...well in a word...Fantastic! Purposely a bit wonky!! Perfect, love it. Awesome! Great finish. I am just getting into Dr. Who and everyone tells me to stick with it. So far... fun but weird. Love it! Have you found Sherlock yet? It is another great export from UK. 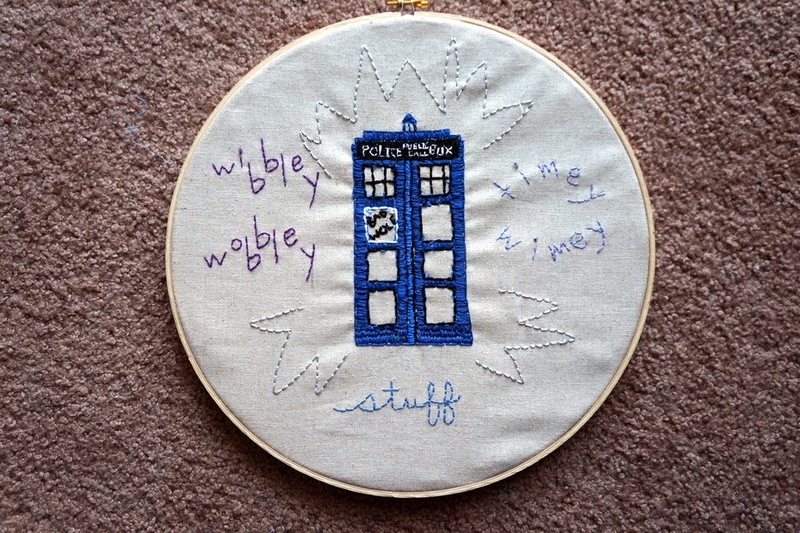 Sometimes I wish I could get that wibbly wobbly timely wimey stuff to slow down or stretch out a little! Great stuff. 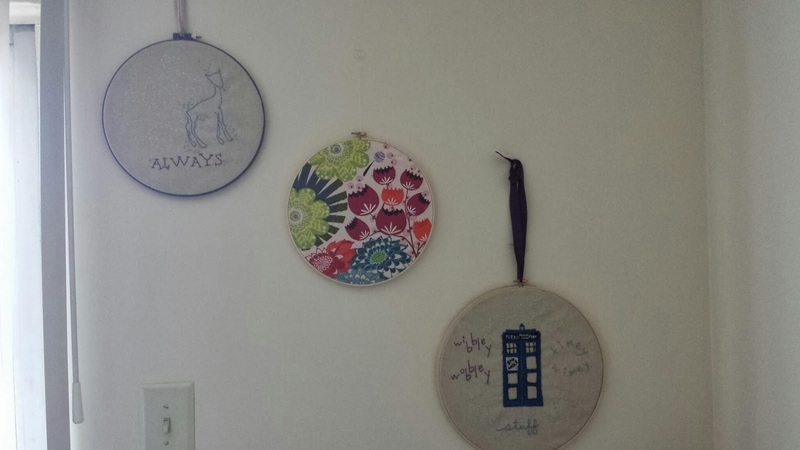 It's hard to pick one from your embroidery hoops.